One of our biggest client request is creating reports. Reports are a useful fleet management tool because they provide snapshots for decision making. For instance, safety managers use driver safety reports to monitor driver safety and train drivers on best practices. Safety is a top priority for many fleets because even a single accident can be disastrous. For instance, think about the BP oil spill a few years ago. In this case, an oil rig leaked and caused wide damage. The company paid billions of dollars in fines and saw a consumer backlash in sales. Similarly, fleet businesses invest heavily into driver safety to prevent accidents. Some of the most common driver safety reports measure include seatbelt violations, Top 5 Speeding Violators, and Top 5 Aggressive Drivers. Many people were taught from an early age to wear their seatbelts. Although most people wear seatbelts, there are still a few folks who don’t. This problem also impacts fleets. Businesses are partly liable for workplace safety so most fleets have seatbelt policies. Fortunately, a lot of these fleets get visibility on seatbelt compliance by using vehicle monitoring tools. 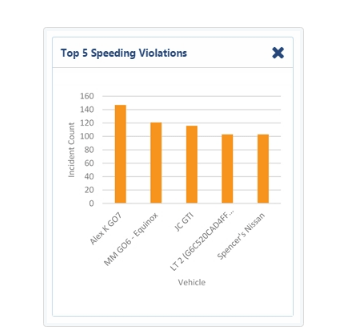 To illustrate, Geotab uses a Top 5 Seatbelt Violation report to monitor seatbelt compliance. 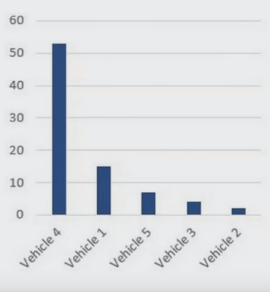 In our example report, the biggest concern is Vehicle 4. As a result of this data, the supervisor knows to follow up with Vehicle 4’s driver on their seatbelt usage. Speeding, however, is especially concerning for commercial vehicles. Commercial vehicles are much bigger and heavier than private vehicles. Therefore, commercial vehicle accidents are usually more serious than non-commercial vehicle accidents. Is speeding the only aggressive driving habit? No. There are tons of other aggressive driving habits. For instance, in Ontario driving tests, assessors watch aggressive habits such as braking harshly, accelerating harshly, and cutting other drivers. Harsh braking is a particularly common KPI in modern fleets. Managers found a strong correlation between harsh braking incidents and distracted and fatigued driving incidents. In response, a lot of supervisors are now collecting video driving safety reports. Fleet cameras detect aggressive driving habits and show a footage of the event. 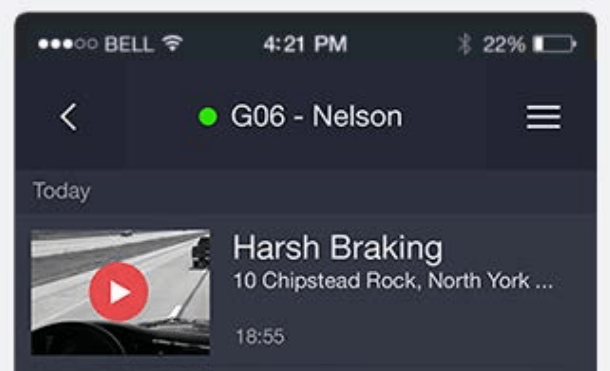 As a result, managers can check if the driver was distracted or fatigued. Did you enjoy our mini-series on useful fleet reports? 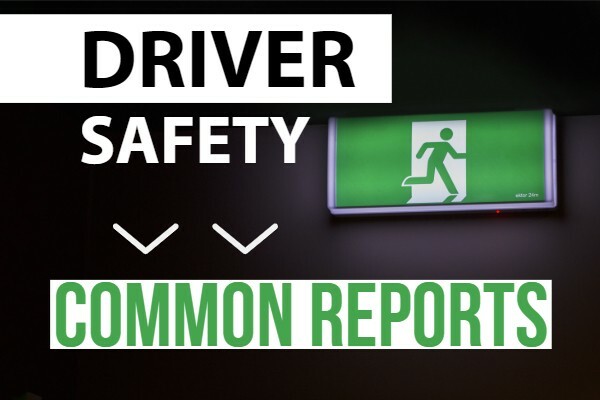 Click here to watch a video on other common driver safety reports.